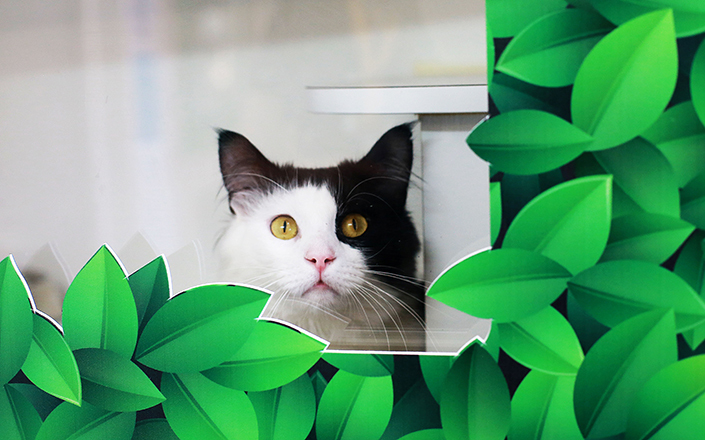 Adopt a cat for no fee or kitten for half price at our adoption evening next Wednesday. We’re hosting the ultimate summer shindig – The Meownificent Garden Party! Come along to our adoption evening from 4.00pm-8.00pm on Wednesday 24 January and adopt a cat for no fee or kitten for half price. Smooches and cuddles guaranteed. It’s school holidays, so round up the family and come along to our adoptions centre, which has transformed into a tranquil summer garden. It’ll be a fun evening of tasty summer treats, prize giveaways, activities and games, and most importantly… adopting your new kitty. Get into the theme of the evening and come dressed in your favourite garden party outfit, or dressed as a cat – don’t be shy! You’ll receive 10% off vet bills at our Frank Samways Veterinary Clinic for your adopted pet, valid until February 2019 (Ts & Cs apply). We look forward to seeing you at the Meownificent Garden Party! You can show your interest by RSVP via the Facebook event (RSVP not essential).